Our Oval Dice Cups are custom-imprinted with the logo and message of your choice. 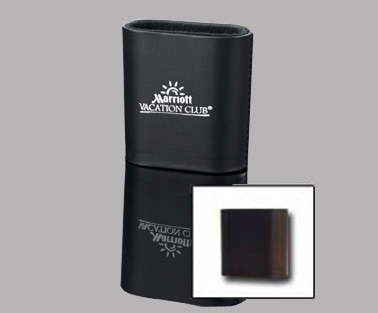 These Custom Dice Cups are great for corporate events and as giveaways at trade shows and promotional events. Each Oval Plastic Dice Cup is available in black and brown. The Black Custom Oval Dice Cups measure 3-1/8" tall, by 2-7/8" long (side to side), by 1¼" inches deep (front to back), and the Brown Imprinted Oval Dice cups are 2-13/16" tall by 2-15/16" long by 1-5/8" deep. Your satisfaction is guaranteed when you order your custom products from us.